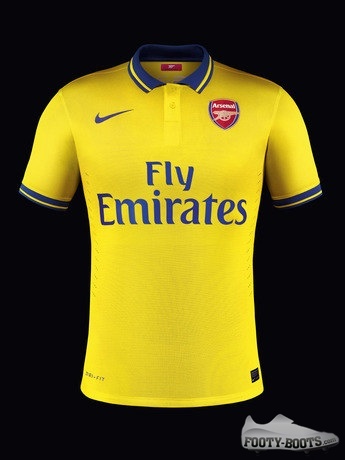 After flirting with purples and blues for the last few seasons, the Gunners are back in Yellow and Navy for the first time since 2010 on the Arsenal Away Shirt 2013. Designed to fuse the traditional away colours of the North London club with sleek performance design choices, we’ve got a feeling that the Arsenal Away Shirt 2013 is going to make a lot of fans very happy. The shirt is yellow with a blue polo collar and deep blue cuffs on the sleeves, both featuring a thin yellow stripe. The polo-shirt collar' reflects the best of London style, from fine gentleman's tailoring to urban street wear. 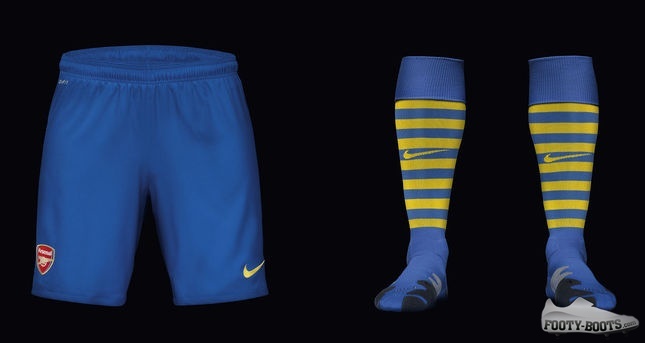 The new away shorts are blue, and the' socks feature the traditional Arsenal hoop sock design in blue and yellow. The club was the first to wear socks featuring hoops in the 1930s under the innovative stewardship of manager Herbert Chapman. Ĺ›The kit looks and feels great. 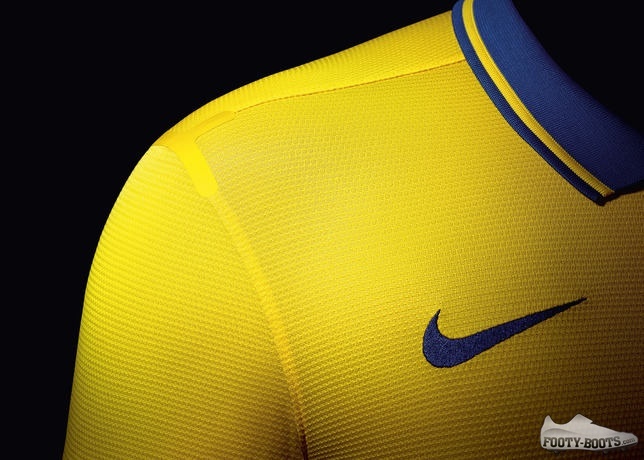 Arsenal is synonymous with yellow and blue and I think this new design fuses that tradition with a modern twist. 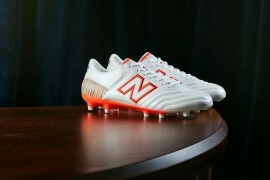 I can't wait to get out on the pitch and wear it.ĹĄ – Theo Walcott. 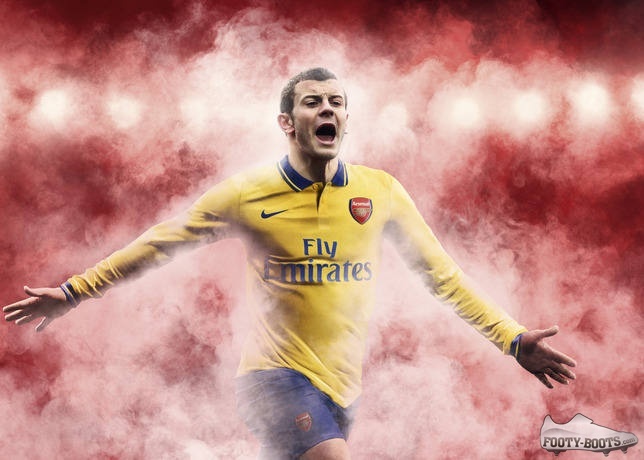 The sight of a swoosh on the 2013 edition of the Arsenal Away shirt might well come as a surprise to some, as the Gunners have been allegedly courting offers from other brands as they seek a new kit deal. 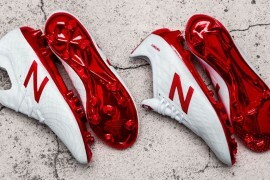 Whilst adidas were thought to be front-runners, it was Puma who have allegedly paid top-dollar to the Emirates Stadium club for the privilege of appearing on the front of their shirts for years to come. Though it’s now safe to say that transition won’t be happening until at least the end of the 2013-14 season. 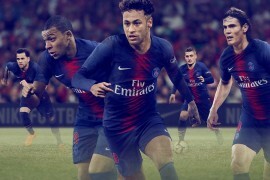 And if that is the case, at least Nike will be able to say they’ve gone out on a high – at least for the away kit – as we think it’s a real beaut. But, of course, what really matters is what you guys think – so drop your opinions in the comments or shoot us a tweet or Facebook post! almost the same like Juventus’ away kit!